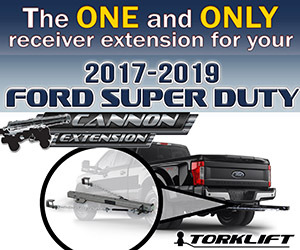 So you’re interested in buying a long-bed truck camper to haul on a one-ton SRW truck. If you’ve already bought the truck, you chose wisely. Today’s one-ton SRW long-bed truck is capable of hauling most non-slide truck campers being built today. 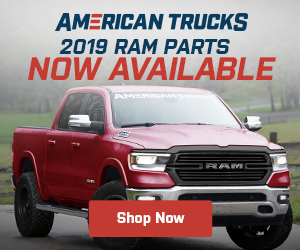 Indeed, most of the gasoline-powered, Ram 3500, Chevy 3500, and Ford F-350 long-bed trucks rolling off today’s assembly lines have payload ratings in excess of 4,500 pounds. 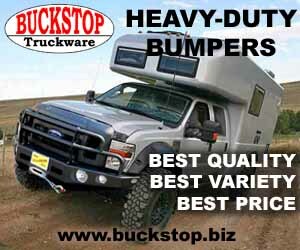 This is a very good thing because safety is the key when hauling a fully loaded truck camper weighing over 2 tons. Exceeding the gross vehicle weight rating (GVWR) and the corresponding payload rating of your truck should be avoided. Doing so puts you and others who share the road with you at risk, may void your truck’s warranty, and may void any coverage you have with your insurance company. When researching truck campers, it’s important to understand that the dry weight is only half of the picture. 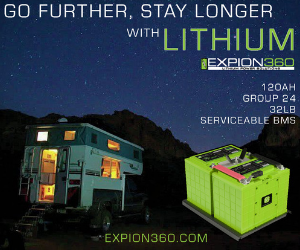 The dry weight doesn’t take into account things like full tanks, batteries, gear, food, and options like air conditioners, awnings, and solar panels that were installed after the camper was built. All of this “stuff” probably weighs a good 1,000 pounds, so a camper with a dry weight of 3,200 pounds will actually weigh around 4,200 pounds fully loaded. 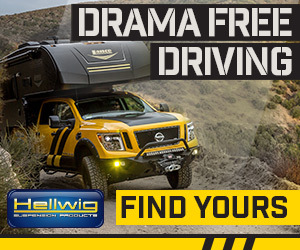 This means you’ll need to have a truck with a payload rating large enough to handle not only the fully loaded weight of the camper, but also the weight of all passengers and anything you have stored in the truck. 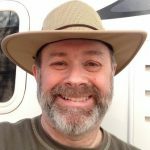 Unfortunately, some truck camper companies and dealers aren’t honest in divulging this information to customers shopping for a camper. Only the dry weight is often mentioned. Getting actual weights when shopping for a truck camper is paramount. Nothing is more important. This is also why a trip to the scales is mandatory. In this article, we rank eight non-slide hard-side truck campers that can safely be hauled on a one-ton SRW long-bed truck. We looked at several factors to determine our rankings, including build quality, features, handling, and holding tank capacities. The requirements to be ranked were pretty simple—each camper needed to be a hard-side, non-slide model, fit on a long-bed truck, and weigh less than 4,500 pounds fully loaded. We chose this figure because it falls within the payload ratings of most gasoline-powered, one-ton SRW long-bed trucks being built today. Fortunately, finding campers that weigh less than this figure wasn’t too difficult. Most fall well below 4,500 pounds fully loaded. Ohio-based NuCamp took the truck camper industry by storm in 2015 by introducing what immediately became one of the best looking, most innovative truck campers in today’s marketplace—the Cirrus 800, a short-bed model—then went to work designing another truck camper specifically for heavy-duty long-bed trucks. The Cirrus 920 is the result of their effort. Featuring unique aesthetics and European styling, the Cirrus 920 offers a host of innovations not found in other long-bed campers like the Alde hydronic heating system, a whisper-quiet water heater furnace combination unit that saves on both weight and space, the Froli modular sleep system, heated flooring, and a space-saving folding bathroom sink. But this 2,905-pound camper provides more than just good looks and innovation, it also features a spacious 10-foot 1-inch floorplan with a large wet-bath, a large cabover with a north-south queen-size bed and loads of storage, a face-to-face dinette, a massive wardrobe, and a large kitchenette with an attractive two-burner cooktop and a Thetford three-way, 5-cubic foot refrigerator. Highlights of this cutting-edge camper include a custom diamond-plated rear bumper with hose storage, a dual battery compartment, two 20-pound propane tanks, an 8-foot side awning, dual thermopane windows, a 38-gallon fresh water tank, a 32-gallon grey water holding tank, and an 18-gallon black water holding tank. Customers have numerous color choices when ordering a Cirrus camper, including a silver or white exterior with 10 different color accents to match the color of your truck. The MSRP of the Cirrus 920 is $39,533. The truck camper industry was shocked when Bigfoot RV went out of business in 2008, a victim of the Great Recession. Fortunately, the company reopened its doors in August 2010 after it was purchased by a former employee, Grant Bilodeau. A superb fiberglass, clam-shell design, the Bigfoot 25C10.4 weighs 3,220 pounds dry, and features 1.5-inch thick heavily insulated walls. The camper’s open floorplan features a mid-bath, a north-south queen-size bed; a large U-shape dinette; a well-equipped kitchenette with loads of storage; a massive, two-way 6-cubic foot refrigerator; and a floor length of 10 feet 6 inches. Highlights include a porcelain toilet, an 11,000 BTU air conditioner, a powerful 30,000 BTU propane-fired furnace, two 20-pound propane tanks with auto change over, a rear awning, and a three-burner propane cooktop. The camper also comes with a number of upgrades, including a battery disconnect switch, an integrated stereo system with interior and exterior speakers, a black tank rinse, accordion-style day-night shades, and tinted thermal pane windows. The tank sizes in the Bigfoot 25C10.4 are excellent as well with a 39-gallon fresh water holding tank, a 32-gallon grey water holding tank, and a 21-gallon black water holding tank. 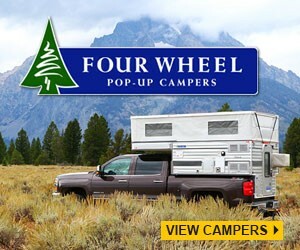 Popular options for this superb, four-season camper include the Onan 2500 generator, the wireless rear camera, and the 250 watt solar power system. The MSRP of the Bigfoot 25C10.4 is $43,260. Idaho-based Rugged Mountain started out as a tiny house builder, branched out into travel trailers in 2014, and launched a truck camper line in late 2016. This is a very good thing because Rugged Mountain builds a high-quality truck camper with real wood paneling, painted beadboard walls, hard wood cabinets, and a full walk-on TPO crowned roof. The camper’s spacious 8 foot 11 inch floorplan features a front wet-bath and dinette on the driver side and a two-way 5-cubic foot refrigerator and a large kitchen on the passenger side. Holding tanks sizes are excellent with 36 gallons fresh, 38 gallons grey, and 24 gallons black. The Granite 9RL features lots of interior storage, a 84-inch slide-out fishing pole drawer, a dual battery compartment with a battery cut-off switch, two 20-pound LP tanks, and a 6-gallon DSI water heater. While the Granite 9RL is a superb camper in its own right, the “Rugged Package” raises this camper to even loftier heights with Reico Titan remote controlled jacks, a 20-inch Furion stainless oven with glass folding cover, a stainless microwave, a ceramic tile backsplash in the kitchen and bathroom, PVC crown molding, a 24-inch stainless steel apron sink with pull-down faucet, a keyless entry, a Furrion stainless range hood, and a stainless refrigerator insert. A terrific camper framed entirely of wood, the Granite 9RL weighs only 3,459 pounds dry, putting it well with the payload ratings of all long-bed one-ton trucks. Fits on both short-bed and long-bed trucks. The MSRP for the base model of Rugged Mountain Granite 9RL is $28,350; the Rugged Package adds another $9,920 to the price. ALP released the Adventurer 901SB as a 50th Anniversary, Special Edition in 2018 and was received so well that the company decided to keep the camper in its catalog. With its all-new 9-foot 1-inch floorplan, the Adventurer 901SB features a number of firsts for ALP, including frameless windows; a one-piece, oversize wetbath; Northern European-style cabinetry, an undermount stainless steel sink; an adult-size power bunk rated for 800 pounds; and a power tower in the kitchen featuring three 110 volt and two USB power outlets. Additional features for this 3,280-pound camper include ALP’s exclusive bumper with a non-slip powder coat, a leather dinette, a Master Command LCD touch screen control panel, a channeled LED ceiling light, a Furrion stainless steel range, a massive, two-way Dometic 7-cubic foot stainless steel refrigerator, and a 100 watt solar power system. Like all ALP campers, the 901SB’s construction features what ALP calls a “Tru-Composite Contruction” using a hybrid wood-aluminum frame, then backs up that construction with a better-than-average three-year structural warranty. The camper also features a big basement with larger than average holding tanks of 42 gallons fresh, 28 gallons grey, and 28 gallons black, a dual battery compartment, and two 20-pound LP propane tanks. Can be ordered in either grey or white and fits on both short-bed and long-bed trucks. The MSRP for the Adventurer 901SB is competitively priced at $39,379. Based out of Kelowna, British Columbia, Northern Lite suffered a terrible fire in 2014, but has come back better than ever by building one of the best, most luxurious truck campers in the entire industry. One reason for this high quality is Northern Lite’s fiberglass, “clam-shell” exterior. The molded fiberglass design produces not only a superior, aerodynamic structure, but also one that is stronger and doesn’t leak like typical campers. The Northern Lite 10-2 EX WET is the company’s largest model. The 10-foot 9-inch floorplan features a north-south queen-size bed, a roomy wet-bath, a face-to-face dinette, loads of storage, and a large kitchenette. Standard features include all-wood cabinets with beautiful sapele veneer paneling; a mirrored, three-way 6.3-cubic foot refrigerator; a 6-gallon DSI water heater; a dual battery compartment, Seitz windows, and a three-burner propane cooktop. The 3,265-pound camper also features an 18,000 BTU furnace, two 20-pound propane tanks, a 9,200 btu air conditioner, a 100-watt solar power system, a 45-amp Progressive Dynamics converter/charger with three-stage Charge Wizard, LED lighting, and side and rear awnings. The tank sizes in the camper are excellent, too, with 36 gallons fresh, 40 gallons grey, and 18 gallons black. Can also be ordered with a dry-bath and a U-shape dinette. The Ozite “furry” headliner and the dated, turquoise color exterior graphics are the only negatives in what is otherwise an outstanding, four-season camper. The MSRP of the Northern Lite 10-2 EX WET is a bit on the steep side with a price of $43,201. Oregon-based Northwood Manufacturing debuted the Arctic Fox 865 in 2008, but removed it from the company’s catalog in 2012 after declining sales. The company, however, decided to bring it back in 2017 after repeated requests for the camper. Being the only Arctic Fox truck camper without a slide-out, it was the right decision by the company. Unfortunately, even without any slide-outs, the Arctic Fox 865 is still a heavy camper. Including the company’s mandatory Fox Package, which weighs 595 pounds, the dry weight of the Arctic Fox 865 is 3,236 pounds, easily putting it at 4,200 pounds fully loaded and probably more. The Arctic Fox 865 is a big camper. Not only is the camper’s floor length generous, at 9 feet 4 inches long, but it also has some of the largest holding tanks in this weight class with 34 gallons fresh, 32 gallons grey, and 31 gallons black. Even the cabover height is large at nearly 4 feet. This well-built, four-season camper features a strong, cathedral arched ceiling, 2-inch thick heavily insulated walls, a 20,000 BTU propane fired furnace, two huge 30-pound propane tanks, a 6-gallon DSI water heater, a 45-amp Progressive Dynamics converter/charger with a three-stage Charge Wizard, and a huge, two-way 7 cubic foot refrigerator. The best options include Torklift’s excellent Fox Landing Step, thermal pane windows, and a 100 watt solar power system. Fits on both short-bed and long-bed trucks. The MSRP of the Arctic Fox 865 is $31,115. The REV Group acquired California-based Lance Campers in January 2018, but that hasn’t slowed the company’s production down one bit. The company continues to sell more slide-in truck campers than any other company in the industry. Over the years, Lance designers worked hard to make their campers lighter and more durable and their efforts have paid off in a big way. The Lance 850 weighs only 2,501 pounds dry, which puts the camper at a svelte 3,500 pounds fully loaded, well within the payload ratings of all one-ton, long-bed, SRW trucks. The Lance 850’s 8-foot 11-inch floorplan features a gorgeous interior with dark, cherry stained cabinets, a large wet bath with a bathroom sink, a small kitchen with a three-way 5-cubic foot refrigerator, a north-south queen-size bed, and a cozy leather dinette. We’re also big fans of Lance’s new exterior mountain graphics, Lance’s new exterior one-piece TPO nose cap, which gives the camper a sleek and aerodynamic look, and Lance’s new Easy Charge exterior charging center that allows owners to hook up a portable solar panel or a generator for quick battery charging. 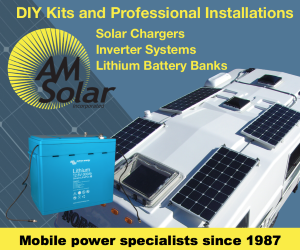 Popular options include a 100 watt solar power system, side and rear awnings, a dual battery compartment, keyless entry with key FOB, and Lance’s excellent roof rack system. Unfortunately, tank capacities are a bit on the light side with only 30 gallons fresh, 20 gallons grey, and 18 gallons black. On the other hand, if you’re looking for a lightweight, aerodynamic long-bed camper, the Lance 850 is probably the best in this weight class. The MSRP for the Lance 850 is a very affordable $30,580. If you’re looking for a unique, side-entry camper with tons of interior floorspace, Northstar’s 12STC is the camper for you. The camper’s massive 12-foot floorplan features a spacious cabover with a north-south queen size bed, a U-shape dinette, a massive 8-cubic foot double door refrigerator on the passenger side, and a huge kitchen and an enormous dry bath on the driver side. As you’d expect, storage throughout this 3,486-pound behemoth is also plentiful. Notable features include a double-basin sink, a Lagun swing-away table, a 6-gallon DSI furnace, two 20-pound propane tanks, a three-burner enameled stove, a Dometic Midi-Heki roof vent, LED lights, Dometic Seitz windows, and a fully lined generator compartment. The Northstar 12STC also features a large, 41 gallon fresh water holding tank, a 20 gallon grey water holding tank, and either a 13 gallon black water holding tank or a Thetford cassette toilet with a removable 5-gallon cassette. Popular options include an 8-foot side awning, a Zamp 220 watt solar power system, a Dometic Midi-Heki Vent, and a fold-down bunk with an extra Seitz window in the bunk for the kiddies. A terrific truck camper by Northstar, a blast from the past before the age of slide-outs, the only real negatives associated with this mammoth hard-side are its awful departure angle and the company’s insistence on using fake oak paper in the interiors of all its campers. The MSRP of the 2018 Northstar 12STC is $40,315.